It’s not often that I do anything special, in culinary terms. I mean, sure, I can cook and I do alright for Husband and the girls, but we often have quite samey food and my repertoire isn’t what you’d call massive or adventurous. 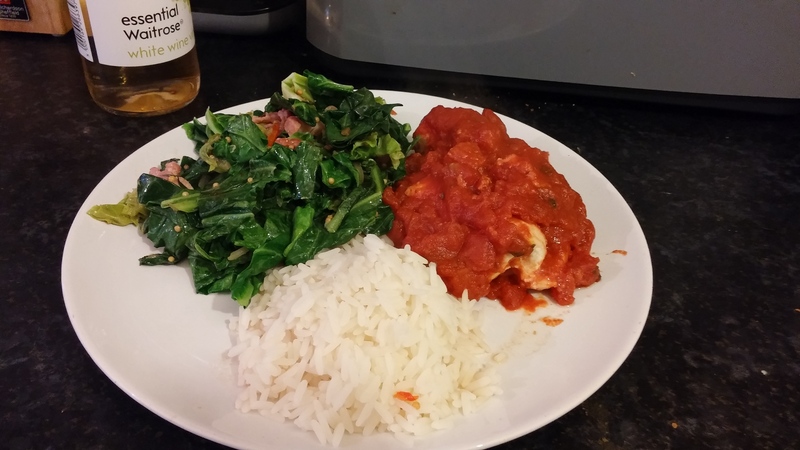 However, last night, we had a dinner that was one of the tastiest things I’ve eaten on ages, a little bit different to what we usually eat and came in at just over 600 calories per plate for a really filling meal, which I think adds up to a massive win! It was also really warm and comforting and uses seasonal veg. 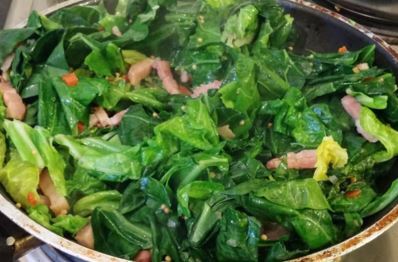 Spring greens are PACKED with calcium, so this is a great recipe for anyone with dairy issues who struggle to get enough of this essential mineral. (Also, bear in mind that while my culinary skill may be improving, my food photography skills and presentation are NOT!). Believe me, it may not look much but it is so tasty and super healthy. Put the rice on the hob and bring to the boil, then leave to cook for around 12 minutes. Once it's all cooked down, add the white wine vinegar and stir through, just before serving. I never use Spring Greens and maybe I should. Looking tasty and colourful too. Thank you I am always after new inspiration for meal ideas.